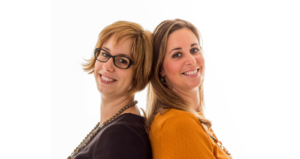 Akcelis was founded by Nathalie Niclaus and Barbara D’haene, who both have a wide experience in healthcare and biotech. To accelerate biomedical research, they decided to take patient recruitment strategies a step further. They developed C-Lys, a platform that encourages patients to register for clinical trials, while providing ample information on such trials. Effective social media campaigns and online ads direct traffic to C-Lys. 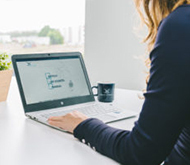 Michiel Hertegonne (QbD Business Development Manager) had the first contacts with Akcelis: “Nathalie and Barbara wanted to have C-Lys fully prepared for upcoming projects. That’s why they got QbD on board.” In line with the QbD approach, we started out with a QuickScan. This resulted in two main insights. First, our expertise could help to further optimize Akcelis’ quality system. Secondly, C-Lys had to be validated: something their customers – mainly pharmaceutical companies – would require from Akcelis. To take Akcelis’ quality system a step further, QbD gave tailored advice to improve various procedures – from document management to change control. This way, QbD helped to ensure that these procedures were not only thoroughly defined but also implemented on time. “We worked in close cooperation with Akcelis, giving them specialized advice, which they used to further develop their quality system. We ensured a handover of all necessary knowledge, which they now apply to manage their quality system autonomously”, says Martijn Reniers (QbD Managing Partner). For more information, visit the Akcelis website or the C-Lys platform.